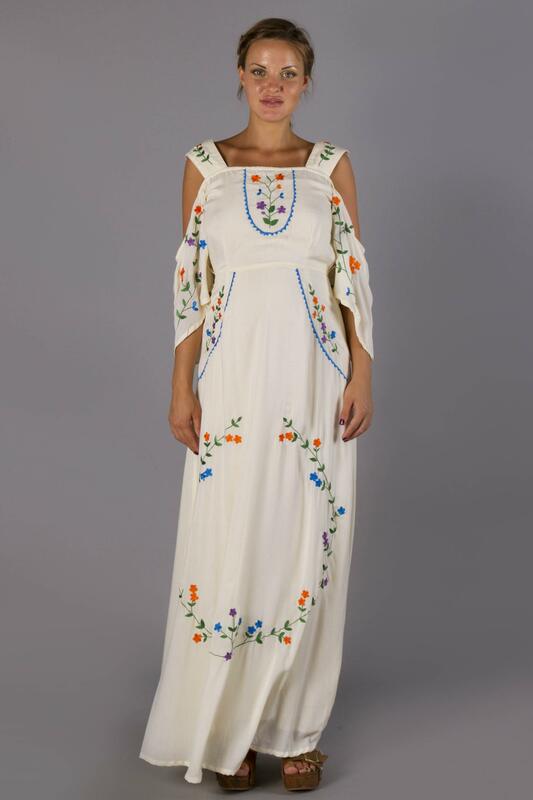 "Miss Vienna" hand embroidered maternity Baby Shower dress Fillyboo - Boho inspired maternity clothes online, maternity dresses, maternity tops and maternity jeans. Baby Shower dress with hand embroidery. - Folk inspired Baby Shower dress, embroidered by hand. - Maxi dress length, form fitting bodice designed for pregnancy.